Our newly refurbished Green Room is situated on the ground floor to the rear of the building. 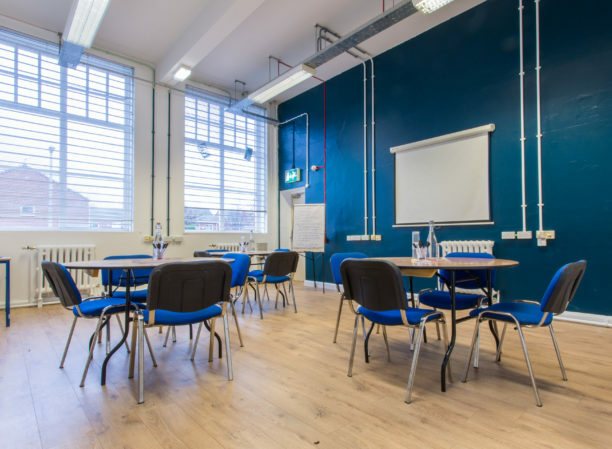 With large windows and plenty of natural light it is the perfect space for meetings, presentations or smaller rehearsals. It is easily accessible from the theatre and gallery making it an ideal dressing room or break-out area for customers hosting events in these spaces. Price for registered charity: £24 per hour, £84 for 4 hours or £144 for an 8 hour day.